Rick Tinker can help you with flood insurance in Clear Lake, Pasadena TX, Galveston, Houston, League City and the Texas Gulf Coast. 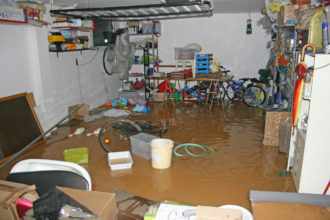 Just because you have home insurance does not mean that you are covered for flood damage. Private insurance companies tend to shy away from flood insurance because damage and havoc occurs over large areas and insurance claims can be crippling. The risk of flood damage is high so it’s not something you should ignore. If you don’t have flood insurance, you run the risk of losing your home and possessions. Your normal home insurance won’t pay you out for damage arsing from a hurricane, a storm surge or a flash flood. You need supplemental flood insurance for that. Weather patterns are becoming more severe and the risk of flood damage is greater than ever before. Flooding is a reality for Texas residents. The Gulf Coast is a high-risk area and weather events such as hurricanes, severe thunder storms, tropical storms and prolonged rains cause major and wide-spread damage every year. Inland areas are also at risk for flash floods and damage from hard and heavy rainfall. Rick Tinker provides affordable flood insurance throughout Clear Lake, Pasadena TX, Galveston, Houston, League City and the Texas Gulf Coast. They can also help you with windstorm and hail insurance. The National Flood Insurance Program (NFIP) is administered by FEMA and is available to communities who participate in NFIP programs. Rick Tinker has the right experience and knowledge when it comes flood insurance, windstorm insurance and hail insurance. They have helped countless of Texans with proper flood insurance and they can do the same for you. Don’t risk everything when you can get proper coverage at an affordable price.